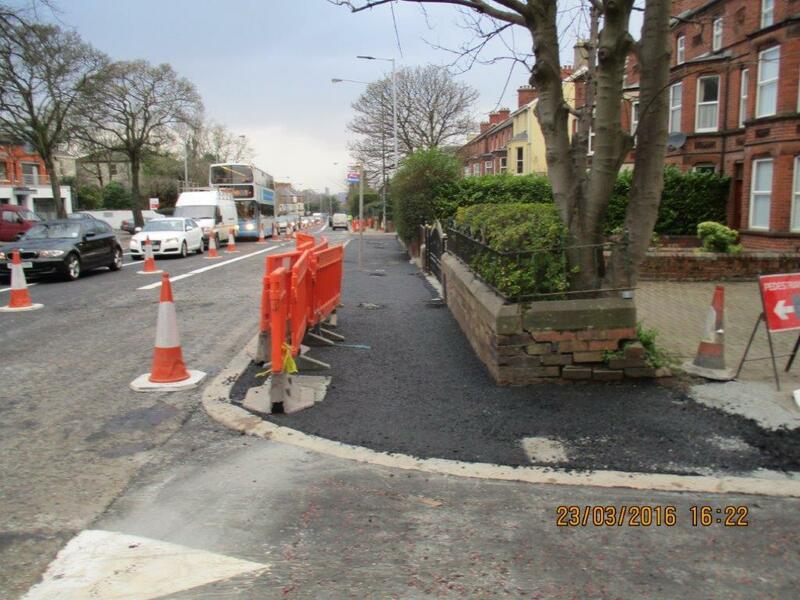 Lagan Operations & Maintenance completed the Upper Newtownards Rd BRT contract. 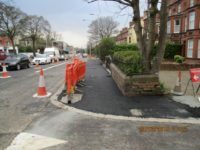 The Scheme was 1,600m long and the brief was to complete the works to accommodate a bus lane and driving lane in either direction with new kerbing, footway and carriageway surfacing. 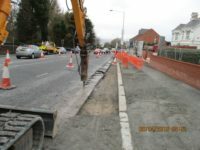 To achieve this much of the existing carriageway required widening, a major element of this was identification of existing services and in many cases diverting and renewing them in order to achieve sufficient cover while also thinking of future maintenance to the services without disruption of the carriageway hence many of the services were diverted into the footways. 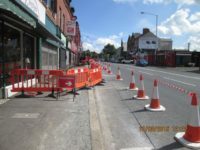 We were responsible for liaison and programming with service providers such as NIE, NI Water, Firmus, BT and Virgin Media. 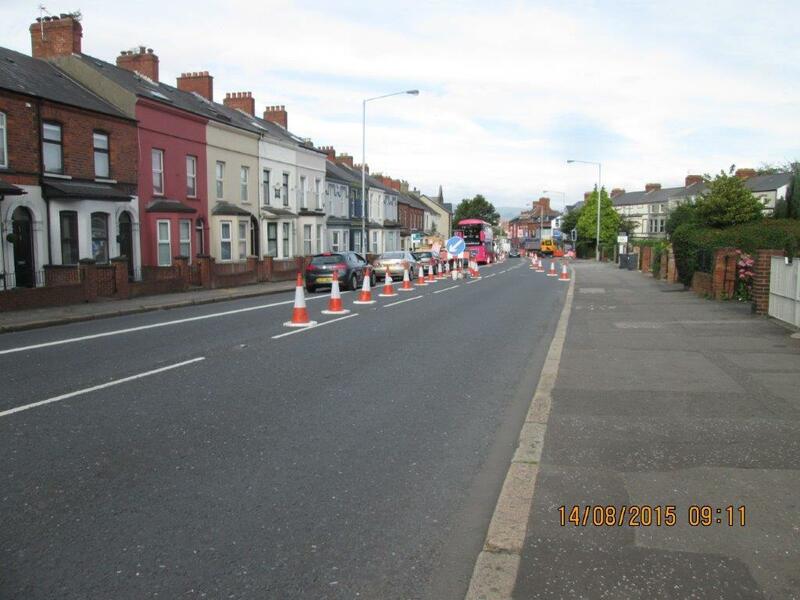 Works were completed under Lane closures which Lagan O&M’s TSCO applied for giving the relevant notice periods to TNI. 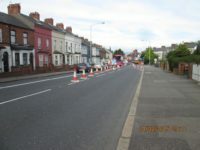 Much of the civils works were completed under lane closures maintaining one lane of traffic in each direction through the week with carriageway surfacing procedures completed under full closures over 4 weekends throughout the duration of the contract. Given the heavy footfall in the area and the presence of local businesses and residential properties a high intensity of liaison with these stakeholders was required and works were often carried out during weekends to limit the impact on local businesses where possible. This was the case especially around the Ballyhackamore area. 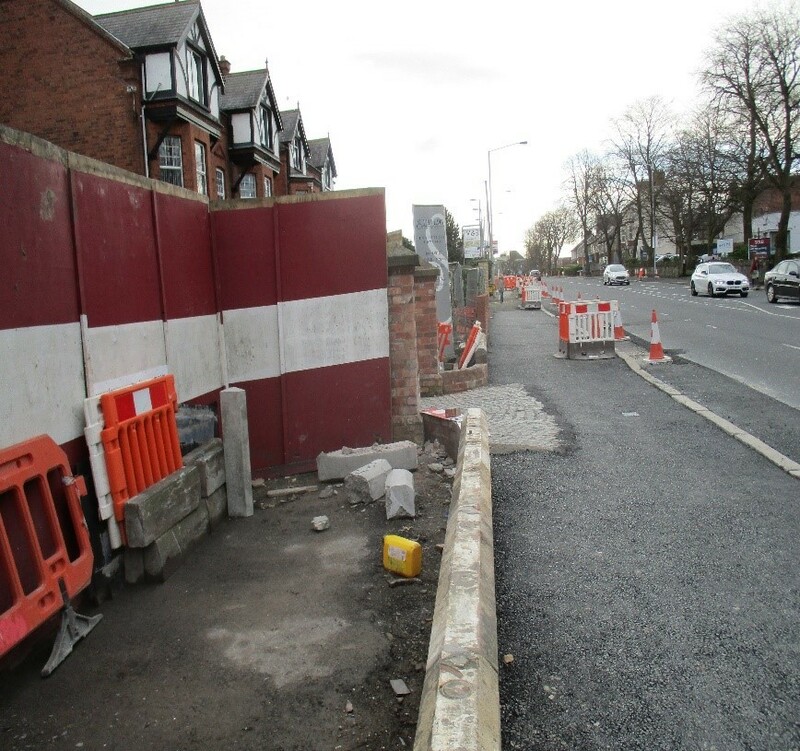 Pedestrian management was a key activity within the works where we kept temporary pedestrian walkways in place as per the requirements of chapter 8 (1.2m walkway). On occasion where this was not possible due to physical constraints of the site we closed the footways and provided a signed alternative route which on many occasions required to be manned by fully trained TM operatives in accordance with NHSS12.